Great Wednesday to you all! How's your week been so far? Good, I hope! 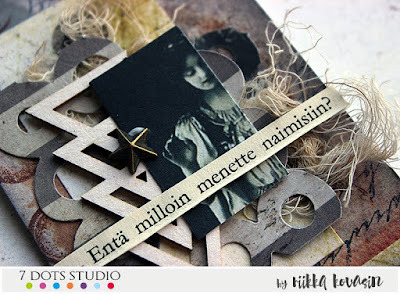 Today I'll be sharing some ATCs with you and there's a video, too! The idea to these came from the images in the Fortune-teller die cut elements sheet. 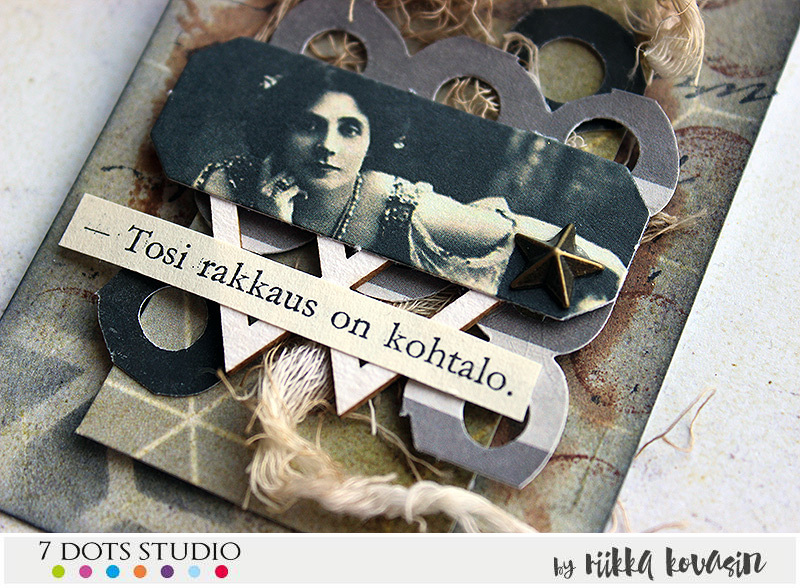 When I happened to read a sentence “tosi rakkaus on kohtalo” – “true love is destiny” I put two and two together and made a series of ATCs connected with love and marriage. 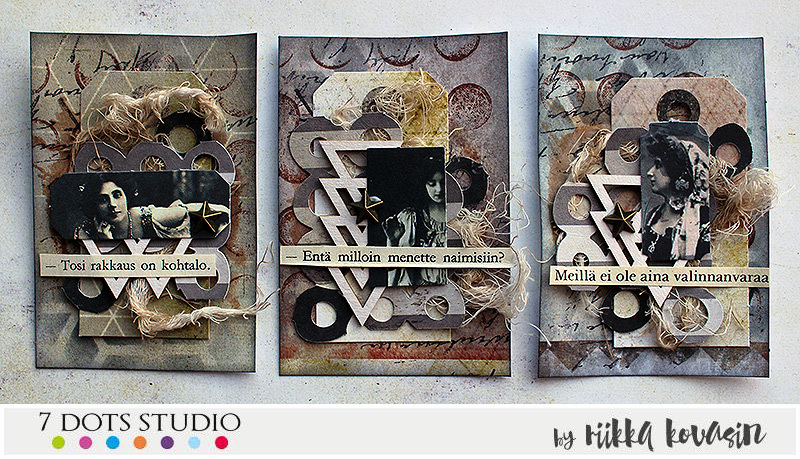 The three cards make up a story, in a way. The texts say: “true love is destiny”, “and when you are getting married?” and “we don’t always have a choice”. I used tags as my card bases and added different layers to them using stencils and stamps. 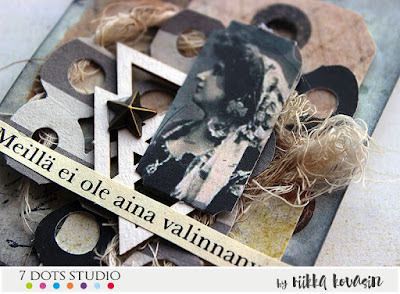 On top I then layered a smaller tag, some cheese cloth, piece of die cut patterned paper and chipboard. On top of everything I placed the ladies who sparked the whole idea. If you want to see how the cards were made, please watch the video below! If you have any questions, just add a comment to the video and I’ll do my best to answer you! Thank you for stopping by today! I hope you feel inspired! 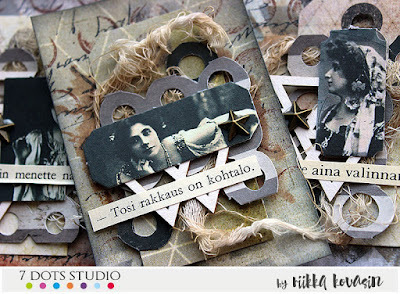 And as always, the cards are available for trade or just to be sent to you! Please send me an email if you wish to either receive one or swap. Thank you!